Donald Patrick Shaw, who was born on 29th August 1888 at Melcombe Regis, was the eldest son of Dr A E Shaw, headmaster of Lord Williams’s School, Thame from 1899 to 1920. 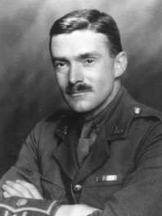 Educated at that school, where he was head boy for his last two years, and at Balliol College, Oxford, where he gained an Honours degree in history, he taught at Weymouth and Westminster schools before enlisting in 1914 in the Dorsetshire Regiment. 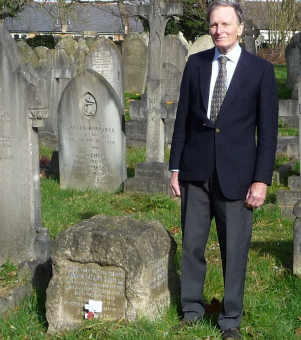 He was seriously wounded in the neck in 1915 while serving in France and nearly drowned when the hospital ship Anglia was mined off Dover in the Channel. He returned to France, promoted to Major and was awarded the DSO in 1918 for gallantry in the attack across the Ancre. In 1918-1919 he commanded the 6th Battalion of the Dorset Regt as Lieutenant Colonel, leading them in the Victory Parade in London. In 1919 he returned to Westminster School where he became a housemaster and commanded the Officer Training Corps. He died of his war wounds in 1924 and was buried on 14th October with full military honours. His coffin was borne on a six-horse gun-carriage to Westminster Abbey and at his grave in West Norwood cemetery the Last Post was sounded by soldiers of the Grenadier Guards. He is remembered in Thame on the War Memorial, St Mary’s Church Memorial Board and on Lord Williams’s School Roll of Honour Board. The following was published in the London Gazette on 29th November 1918. T/Major Donald Patrick Shaw, 6th Btn, Dorset Regt.